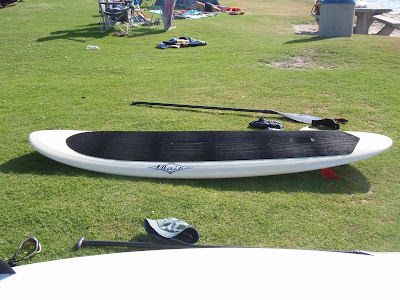 Stand Up Paddle Surfing: 8'10 Joe Blair For Sale: In San Diego- snap it up! 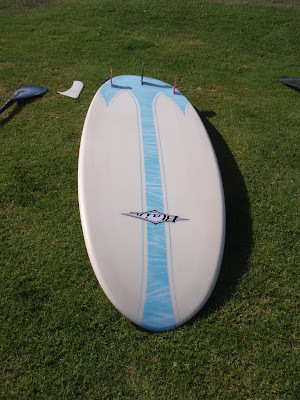 8'10 Joe Blair For Sale: In San Diego- snap it up! I've paddled this one. Pretty unbelievable that it can float and paddle a big boy like me (235lbs). I didn't get a chance to surf it but it's got a nice feel to it and I think it's probably a nice surfing stand up board. Here's your chance to get into a shorter stand up relatively cheap- I think Eric (eghoffman@hotmail.com)is looking for something in the neighborhood of 800 bucks for it. The board's sound and at that price I think it's a good deal. Grab it! You are killing me! Show me my board!! !